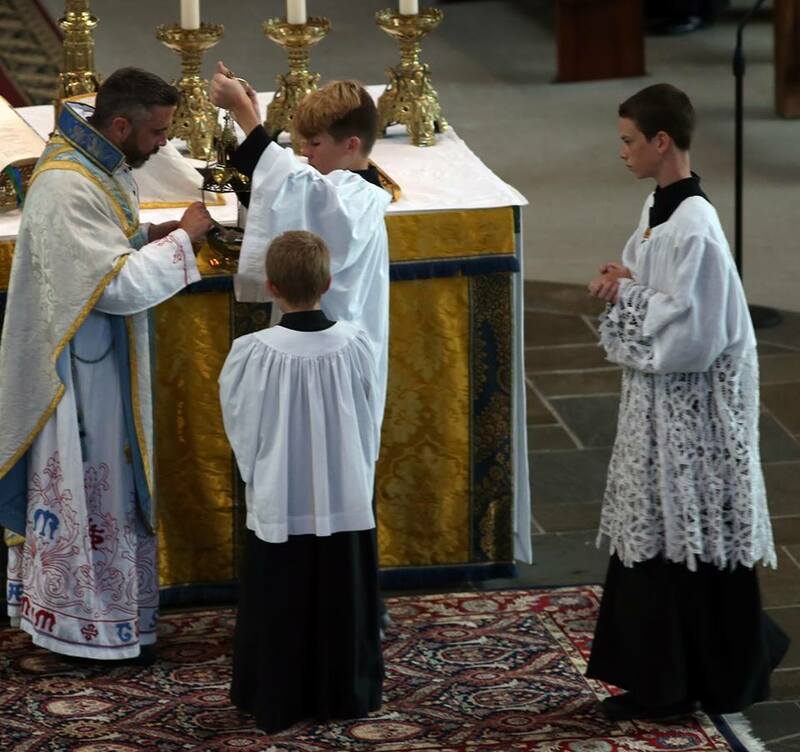 Prince of Peace Catholic Church in Taylors, South Carolina, will hold a five-week speaker series on the Extraordinary Form of the Mass, organized to help the faithful to a better understanding of why this form of Mass is celebrated. The parishioner who organized the event, Paul Pizzuti, describes it as “an every man’s approach to the Latin Mass. By offering an opportunity to find comfort and education within the Extraordinary Form, my hope is that parishioners of all ages will draw even closer to Jesus Christ.” The series will run from September 24 to October 22. The feast of the Assumption at Prince of Peace. This speakers discuss different aspects of the Extraordinary Form based on their own studies in literature, architectural design, philosophy, knowledge of historical Catholic figures, dogmatic and biblical theology, among them tow of Prince of Peace’s own, the pastor, Fr Christopher Smith, and Fr Richard Tomlinson. “Prince of Peace Catholic Church is one of the largest Latin Mass communities in the Southeast. I was thrilled that like so many young adults, the Extraordinary Form of Mass has been such a vital part of Paul’s Catholic faith that he wanted to created a program sharing his passion with others across various stages of understanding of this form. I look forward to speaking on the topic of Sacred Music and am grateful for the willingness of our other speakers to devote their time and generosity to this effort.” said Fr Smith. • The history of Latin and why this language is known to unveil the mystery of God. Each workshop will be held at 10 a.m. in the Parish Activity Center (PAC) on the Prince of Peace Catholic Church and School campus, located at 1209 Brushy Creek Rd., Taylors, South Carolina. For more information, please contact Paul Pizzuti at (843) 616-1766. As a reminder, Prince of Peace Catholic Church invites you to attend the Extraordinary Form of Mass every Sunday at noon.